The takayna/Tarkine Wilderness region is located in the north-west of Tasmania. The area encompasses approximately 447,000 hectares of wilderness including the southern hemisphere's largest single tract of temperate rain forest, a wild coastline with an extraordinary wealth of Aboriginal cultural heritage sites, and habitat for over 50 threatened species. There are groves of some the tallest hardwood trees around, numerous wild rivers, and spectacular mountain ranges. Until recently the forests of Tarkine were inaccessible for walking tours. 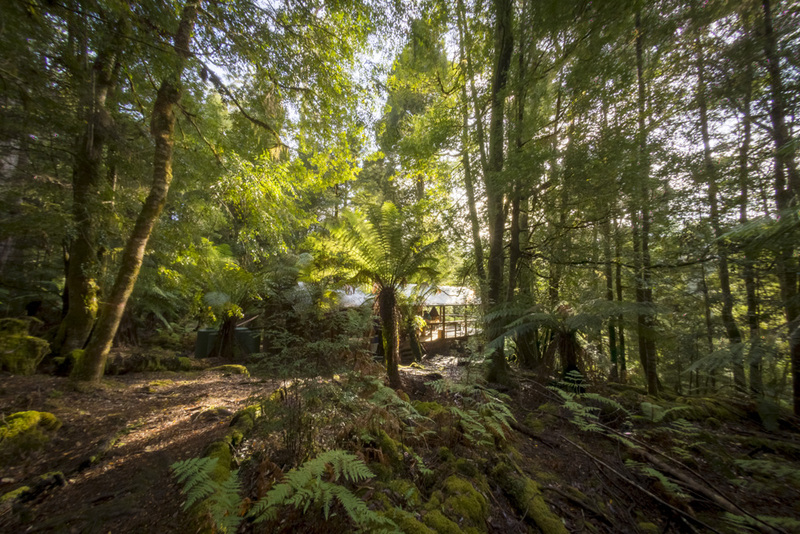 In collaboration with the Tarkine National Coalition, Tarkine Trails has opened a forest trail that provides access to the ancient forests the Tarkine is famous for. It is without doubt, Australia’s best kept wilderness secret. takayna (tah kye nah) is recorded as the name of the people from the Sandy Cape-Pieman River area. Out of respect for the original inhabitants of the land, we refer to it by takayna first, and Tarkine second, where possible. The Australian Heritage Council found the Tarkine in north-west Tasmania of outstanding national heritage significance. The Tarkine is a beautiful remote part of Tasmania which supports Australia’s largest tract of cool temperate rainforest. Landscapes within the area range from wild windswept beaches to extensive buttongrass plains with stunning vistas to impressive rainforests. However for the takayna/Tarkine to be inscribed on the World Heritage list, it would need to be formally put forward to UNESCO (the United Nations Body) by the Australian Government. We strongly support the takayna/Tarkine becoming World Heritage listed, and its entirety listed as a national park. Tarkine Trails and sister business Bonorong are proud to partner with The Bob Brown Foundation to call for the creation of a ten-day walk through the Tarkine: the Trans-takayna/Tarkine Track. A feasibility study in 2016 showed the ten-day walk has the potential to rank as one of the world’s great wilderness journeys, however it relies on the support of the government. The Trans-taykayna/Tarkine Track is proposed to be comparable to the Overland Track, and would add a much needed tourism boost to north-west Tasmania. You can find out more about the proposed track and how to support it on the Bob Brown Foundation website.